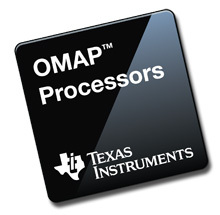 OMAP™ processors feature multicore ARM Cortex-A series designs and are intended for a wide range of industries and applications. Built around a partitioning architecture, INTEGRITY provides embedded systems with total reliability, absolute security, and maximum real-time performance. With its leadership pedigree underscored by certifications in a range of industries, INTEGRITY sets the standard for real-time operating system safety, security, and reliability. Securely run guest operating systems alongside native security-critical applications. A robust and portable virtualization infrastructure, INTEGRITY Multivisor is flexible enough to handle the wide variety of hardware capabilities available in the TI OMAP applications processor. INTEGRITY Multivisor maximizes the use of available hardware virtualization facilities while minimizing modifications to guest operating systems. The µ-velOSity RTOS is the smallest of Green Hills Software's family of real-time operating systems, designed to be the smallest, fastest and most intuitive in its class. 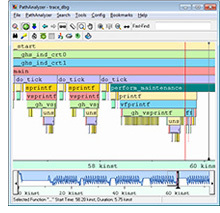 It's simple but elegent design as well as its integration with the best-in-class MULTI IDE, make µ-velOSity both easy to learn and simple-to-use.